You are working hard on planning an important occasion, but some of the details are starting to keep you up at night. You are comfortable with the venue, the food and the guest list, but you are challenged with one of the most fundamental tasks for any event: how to get everyone necessary to the event on time, safely, securely and in a festive mood. Someone suggests a party bus, but you are torn. Chartering a party bus may be a solution, but you are not convinced it is the best answer to your dilemma. How does a party bus fit in with the planning of your event? How will it affect the ambiance of the occasion and how will your valued clients or guests view it? Only you can make the final decision on this, but we are standing with you to help answer your party bus questions and to help you find the very best party bus package when you decide a party bus is the smartest approach for transportation for your special event. Far from being a one size fits all approach, party buses are popular and useful for a wide range of special occasions. Consider renting a charter to take family members on a tour of your city or area during a family reunion. No one misses a turn, and you have a real chance to catch up with your (maybe not so) near and dear. Out of town family members do not have to worry about renting a car and your personal vehicles can take a snooze in the garage while you enjoy the sights as a pampered passenger, too. What about reserving a party bus to take your kid's friends to a birthday party or school event; the fun never ends during this kind of well-planned occasion. You can relax and stop worrying about young drivers getting lost or coordinating parent drop offs and pick ups. Think about hiring a magician or a clown to join the drive along for younger kids, and don't forget the camera to catch the earnest back seat discussions or inspired sing-a-longs. We can help you find the perfect size of vehicle and approach to special events from one of the many bus companies we work with to make the reunion or party a memorable event. Trust us to take care of details like the bus company's experience with sightseeing or safety rule enforcement for the little ones; we will match you with the perfect bus charter company for your unique needs. Think outside the usual party bus profile for your pre-wedding celebrations. Rather than confining a party bus adventure to a visit to every bar and saloon in the area, take the ladies to a day spa and the guys to the ballpark - or vice versa. You can always end the day with the traditional pub crawl, but you also will have a pedicure or souvenir to treasure as you safely navigate your drinking establishments of choice. The same is true for the trend to celebrate 21st birthdays on the bus. Make this special birthday one to remember, not a just a bad headache to forget. 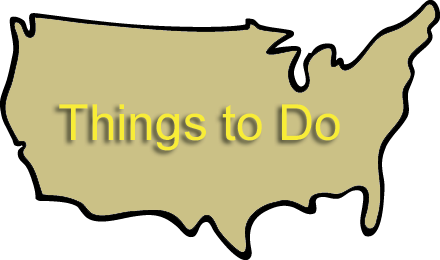 Take your friends to a concert or an amusement park, or visit an interesting or beautiful natural attraction. Drinks certainly can be included, but be your own man or woman and celebrate without obliterating your senses. We specialize in finding the perfect bus company for your cherished memory-making event. Let us sort out the transportation details while you work on making yours a day to remember. Get a party bus rental quote today. Or geeky, or flamboyant or just not my style. Whatever your concerns may be, we are experts in linking people with the bus companies that can meet their needs. Let us show you how a party bus can be affordable and attractive. Whenever you have a number of people to transport, the method to move between points can be either a stress-maker or stress-free. 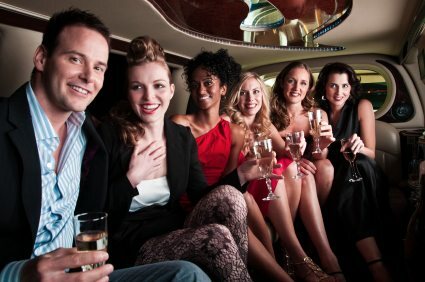 We suggest you eliminate the stress by sharing your requirements for party bus transportation with us. We can work with any size group or destination by using our many party bus contacts to design the perfect trip for you and your group. Whether yours is a corporate event, a no-holds-barred party or a special gathering, there is a party bus for you. Elegant, fun or funky, we can suggest the perfect fit at a price that makes sense. Make your choice now based on our assurance we will match you with a party bus that meets your individual needs. Party buses can be the answer to your event planning concerns. Now that you know we are dedicated to making your party bus rental a resounding success, roll over and get some sleep. Rest up -- you have a party to enjoy!